When I first made dark chocolate mousse, my friends asked me right away "what about white chocolate mousse?" Not a big fan of white chocolate, I thought it would make too sweet of a dessert. But being curious and always looking for new dessert recipes, I decided to try. In the end, I mixed and adapted a few recipes that I found on the web and the result was quite surprising. 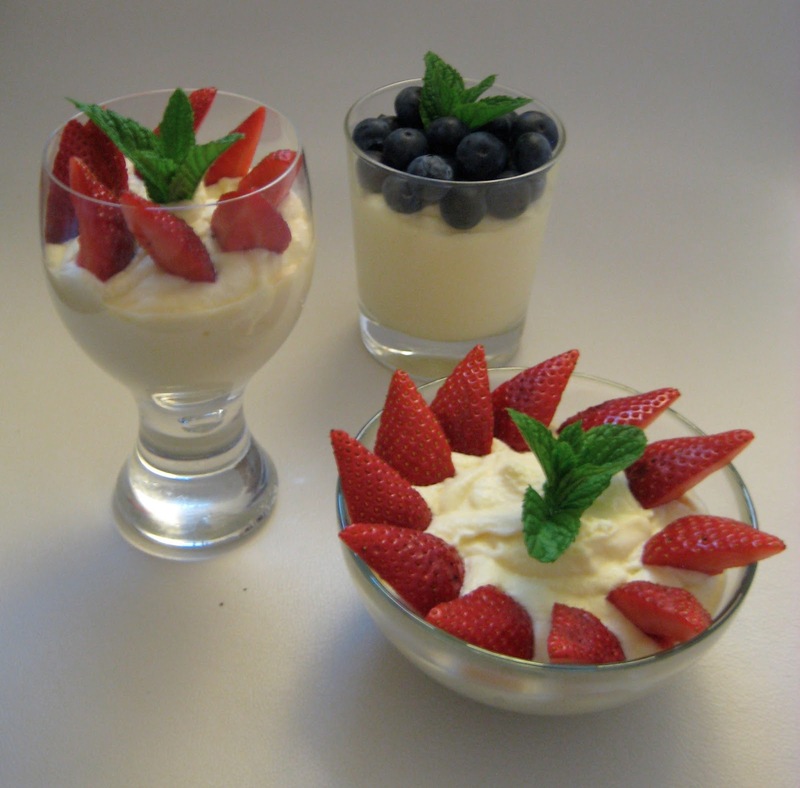 I decided to add only very little sugar and to incorporate eggwhites in the recipe to have a more fluffy mousse that is not too sweet (white chocolate is already quite sweet). 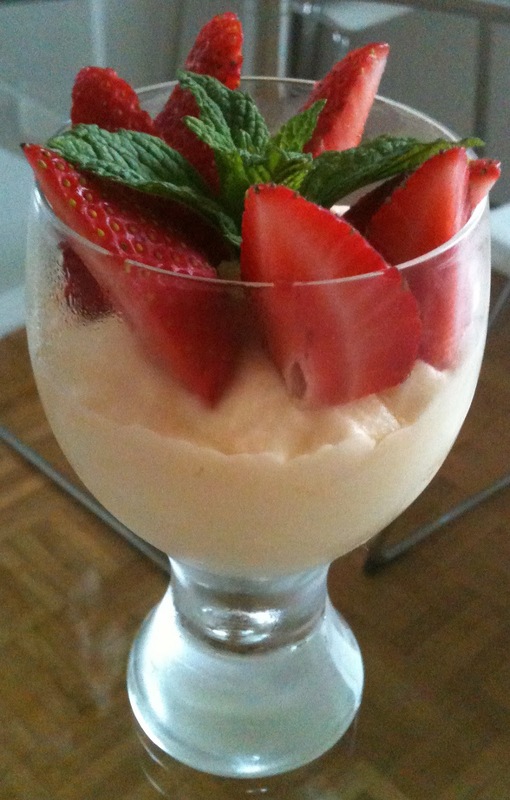 The white chocolate mousse with some strawberries was quite a success and I like this recipe very much. 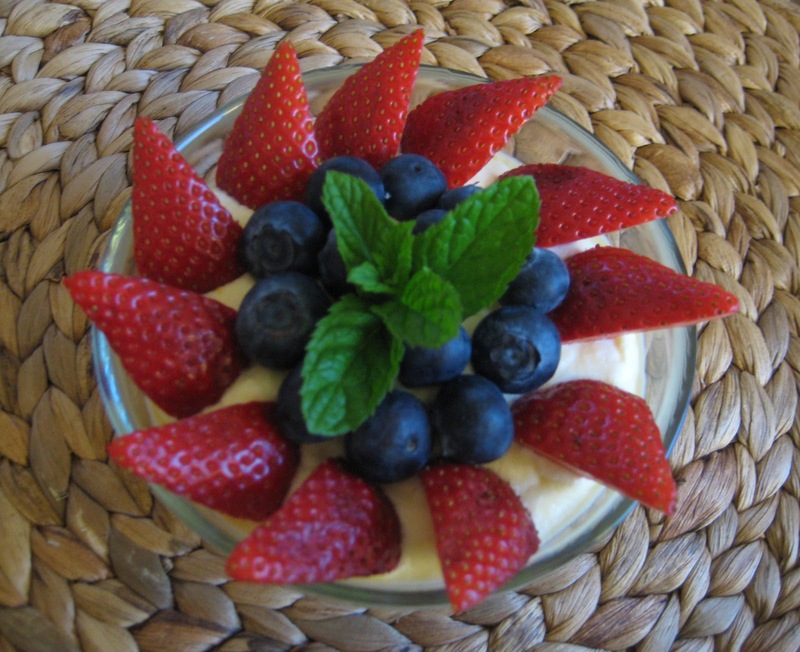 I would recommend it as a light-ish dessert in the summer, it's just perfect! Chop up or grate the white chocolate in a big bowl. Whip up the eggyolks with the sugar until almost white. In a small saucepan, warm up 0.6 dl of cream at low temperature until right before it boils. Add the cream to the egg-sugar mix, carefully mix and put back in the saucepan. At low heat, mix with a wooden spatula until the cream covers it. Transfer the warm cream to the white chocolate through a sieve. Mix the cream and chocolate until obtaining a smooth mix (the chocolate has to melt entirely). In separate bowls, whip up the 2.4 dl cream and the 2 eggwhites. Right before stiffening add the drops of lemon juice to the eggwhites. Fold in the whipped cream in 2 times in the chocolate mix. Then carefully add the stiff eggwhites. Transfer the mousse in 6 small pots and refrigerate for at least 3 hours.